Benjamin Sachs is the Kestnbaum Professor of Labor and Industry at Harvard Law School and a leading expert in the field of labor law and labor relations. Professor Sachs teaches courses in labor law, employment law, and law and social change, and his writing focuses on union organizing and unions in American politics. Prior to joining the Harvard faculty in 2008, Professor Sachs was the Joseph Goldstein Fellow at Yale Law School. From 2002-2006, he served as Assistant General Counsel of the Service Employees International Union (SEIU) in Washington, D.C., and from 1999-2002 he was an attorney at Make the Road by Walking, a membership-based community organization in Brooklyn, NY. 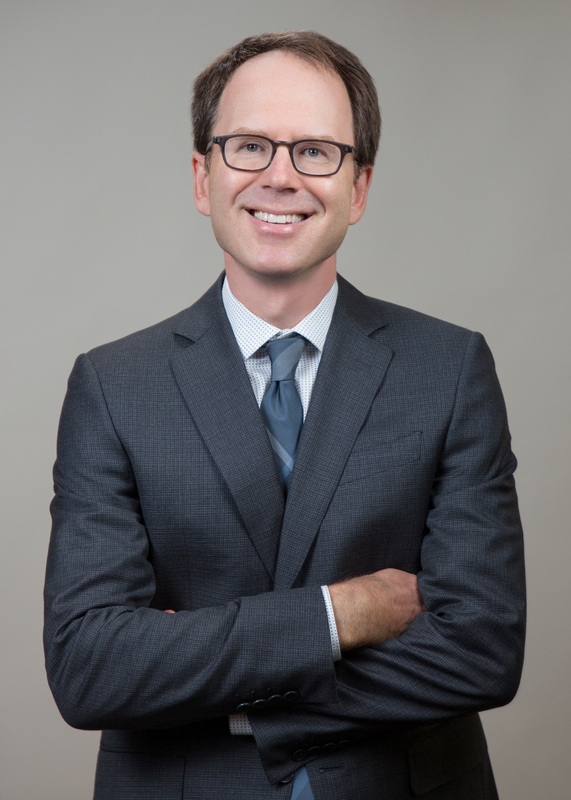 Professor Sachs graduated from Yale Law School in 1998, and served as a judicial law clerk to the Honorable Stephen Reinhardt of the United States Court of Appeals for the Ninth Circuit. His writing has appeared in the Harvard Law Review, the Yale Law Journal, the Columbia Law Review, the New York Times and elsewhere. In 2007, Professor Sachs received the Yale Law School teaching award. He is also the 2013 recipient of the Sacks-Freund Award for Teaching Excellence at Harvard Law School, and the 2015 winner of the Charles Fried Intellectual Diversity Award. Benjamin I. Sachs, The Unbundled Union: Politics Without Collective Bargaining (O Sindicato Aberto: Política Sem Negociação Coletiva), 4 Revista Direito das Relações Sociais e Trabalhista 16 (2018). Public policy in the United States is disproportionately responsive to the wealthy, and the traditional response to this problem, campaign finance regulation, has failed. As students of politics have long recognized, however, political influence flows not only from wealth but also from organization, a form of political power open to all income groups. Accordingly, as this Essay argues, a promising alternative to campaign finance regulations is legal interventions designed to facilitate political organizing by the poor and middle class. To date, the most important legal intervention of this kind has been labor law, and the labor union has been the central vehicle for this type of organizing. But the labor union as a political-organizational vehicle suffers a fundamental flaw: unions bundle political organization with collective bargaining, a highly contested form of economic organization. As a result, opposition to collective bargaining impedes unions' ability to serve as a political-organizing vehicle for lower and middle-income groups. Public policy in the United States is disproportionately responsive to the wealthy, and the traditional response to this problem, campaign finance regulation, has failed. As students of politics have long recognized, however, political influence flows not only from wealth but also from organization, a form of political power open to all income groups. Accordingly, as this Essay argues, a promising alternative to campaign finance regulations is legal interventions designed to facilitate political organizing by the poor and middle class. To date, the most important legal intervention of this kind has been labor law, and the labor union has been the central vehicle for this type of organizing. But the labor union as a political-organizational vehicle suffers a fundamental flaw: unions bundle political organization with collective bargaining, a highly contested form of economic organization. As a result, opposition to collective bargaining impedes unions' ability to serve as a political-organizing vehicle for lower and middle-income groups. This Essay proposes that labor law unbundle the union, allowing employees to organize politically through the union form without also organizing economically for collective bargaining purposes. Doing so would have the immediate effect of liberating political-organizational efforts from the constraints of collective bargaining, an outcome that could mitigate representational inequality. The Essay identifies the legal reforms that would be necessary to enable such unbundled "political unions" to succeed. It concludes by looking beyond the union context and suggesting a broader regime of reforms aimed at facilitating political organizing by those income groups for whom representational inequality is now a problem. Benjamin Sachs, Agency Fees and the First Amendment, 131 Harv. L. Rev. 1046 (2018). Agency fees are mandatory payments that certain employees are required to make to labor unions. In recent years, the Supreme Court has moved closer to declaring these fees an unconstitutional form of compelled speech and association and may soon invalidate them entirely. The Court – and the scholarship on agency fees – proceeds from the assumption that such fees are employees’ money that employees’ pay to a union. This article argues, however, that this is the wrong way to understand agency fees and for two sets of reasons. One, the Court treats agency fees as employees’ money because fees pass through employee paychecks on the way from employers to unions. But this is simply an accounting formalism required by labor law. Because employees have no choice but to pay the fees, the fact that the fees pass through paychecks is irrelevant for purposes of First Amendment analysis. Instead, under the First Amendment, agency fees are – and must be treated as – payments made directly by employers to unions. And payments made by employers to unions raise no compelled speech or association problems for employees. Two, irrespective of the accounting regime, the article shows why agency fees ought to be treated as union property rather than as the property of individual employees. Unionization, by allowing employees to negotiate collectively, produces a premium for employees covered by union contracts. Agency fees are a small fraction of this union premium. Because it is the union that produces the premium out of which agency fees are paid, and because individual employees would never earn the premium as individuals, the premium and the fees that come out of it should be treated – under the Court’s own cases – as the property of the union that secured them. The article thus provides two sets of arguments with the same fundamental implication: agency fees are not properly understood as payments made by employees to unions, and there is accordingly no compelled speech or association problem with agency fees. Benjamin I. Sachs, Law, Organizing, and Status Quo Vulnerability, 96 Tex. L. Rev. 351 (2017). Benjamin I. Sachs, Introduction: Labor Scholarship in an Era of Uncertainty, 17 Theoretical Inquiries L. 1 (2016). Daryl Levinson & Benjamin I. Sachs, Political Entrenchment and Public Law, 125 Yale L.J. 400 (2015). Courts and legal scholars have long been concerned with the problem of "entrenchment" -the ways that incumbents insulate themselves and their favored policies from the normal processes of democratic change. But this wide swath of case law and scholarship has focused nearly exclusively on formal entrenchment: the legal rules governing elections, the processes for enacting and repealing legislation, and the methods of constitutional adoption and amendment. This Article demonstrates that political actors also entrench themselves and their policies through an array of functional alternatives. By enacting substantive policies that strengthen political allies or weaken political opponents, by shifting the composition of the political community, or by altering the structure of political decision making, political actors can achieve the same entrenching results without resorting to the kinds of formal rule changes that raise red flags. Recognizing the continuity of formal and functional entrenchment forces us to consider why public law condemns the former while ignoring or pardoning the latter. Appreciating the prevalence of functional entrenchment also raises a broader set of questions about when impediments to political change should be viewed as democratically pathological and how we should distinguish entrenchment from ordinary democratic politics. Jacob E. Gersen & Benjamin Sachs, Protect Those Who Protect Our Food, N.Y. Times, Nov. 13, 2014, at A33. Benjamin I. Sachs, Privacy as Sphere Autonomy, 88 Bull. Comp. Lab. Rel. 233 (2014). Catherine L. Fisk & Benjamin I. Sachs, Restoring Equity in Right-to-Work Law, 4 U.C. Irvine L. Rev. 857 (2014). Under United States labor law, when a majority of employees in a bargaining unit chooses union representation, all employees in the unit are represented by the union. Federal law, moreover, requires the union to represent all workers in a bargaining unit equally with respect to both collective bargaining and disciplinary matters. As a general rule, federal law enables unions to require employees to pay for the services that unions are obligated to provide them. Twenty-four states, however, have enacted laws granting union-represented employees the right to refuse to pay the union for the services that federal law requires the union to offer. As such, the intersection of federal labor law and state right to work laws results in a mandate that unions provide services for free to any employee who declines to pay dues. This paper proposes three approaches to addressing this feature of U.S. labor law. First, the paper argues that under a proper reading of the NLRA states may not prohibit all mandatory payments from workers to unions. In particular, the paper shows that states must permit collective bargaining agreements requiring so-called objectors (or nonmembers) to pay dues and fees lower than those required of members. Second, the paper argues that in right to work states federal law ought to relax the requirement of exclusive representation and allow unions to organize, bargain on behalf of, and represent only those workers who affirmatively choose to become members. This proposal would implement a members-only bargaining regime in right to work states. Third, the paper contends that the NLRB ought to abandon its rule forbidding unions from charging objecting nonmembers a fee for representation services that the union provides directly and individually to them. Benjamin I. Sachs, The Unbundled Union: Politics Without Collective Bargaining, 123 Yale L.J. 148 (2013). Benjamin I. Sachs, A New Kind of Union, N.Y. Times, Sept. 2, 2013, at A17. Benjamin I. Sachs, Corporate Shareholders Deserve Equal Rights on Campaign Finance, The Wire, Aug. 13, 2012. Benjamin I. Sachs, Unions, Corporations, and Political Opt-Out Rights After Citizens United, 112 Colum. L. Rev. 800 (2012). Citizens United upends much of campaign finance law, but it maintains at least one feature of that legal regime: the equal treatment of corporations and unions. Prior to Citizens United, that is, corporations and unions were equally constrained in their ability to spend general treasury funds on federal electoral politics. After the decision, campaign finance law leaves both equally unconstrained and free to use their general treasuries to finance political expenditures. But the symmetrical treatment that Citizens United leaves in place masks a less visible, but equally significant, way in which the law treats union and corporate political spending differently. Namely, federal law prohibits a union from spending its general treasury funds on politics if individual employees object to such use-employees, in short, enjoy a federally protected right to opt out of funding union political activity. In contrast, corporations are free to spend their general treasuries on politics even if individual shareholders object-shareholders enjoy no right to opt out of financing corporate political activity. This Article assesses whether the asymmetric rule of political opt-out rights is justified. The Article first offers an affirmative case for symmetry grounded in the principle that the power to control access to economic opportunities-whether employment or investment based-should not be used to secure compliance with or support for the economic actor's political agenda. It then addresses three arguments in favor of asymmetry. Given the relative weakness of these arguments, the Article suggests that the current asymmetry in opt-out rules may be unjustified. The Article concludes by pointing to constitutional questions raised by this asymmetry, and by arguing that lawmakers would be justified in correcting it. Benjamin I. Sachs, Fulfilling the Promise of Economic Rights: Learning from Labor and Employment Law, in Making Equal Rights Real: Taking Effective Action to Overcome Global Challenges 91 (Jody Heymann & Adele Cassola eds., Cambridge Univ. Press, 2012). Benjamin I. Sachs, Union Organizing and the Architecture of Employee Choice, in Research Handbook on the Economics of Labor and Employment Law 146 (Cynthia L. Estlund & Michael L. Wachter eds., Edward Elgar Pub. 2012). This Research Handbook assembles the original work of leading legal and economic scholars, working in a variety of traditions and methodologies, on the economic analysis of labor and employment law. In addition to surveying the current state of the art on the economics of labor markets and employment relations, the volume's 16 chapters assess aspects of traditional labor law and union organizing, the law governing the employment contract and termination of employment, employment discrimination and other employer mandates, restrictions on employee mobility, and the forum and remedies for labor and employment claims. Benjamin I. Sachs, Despite Preemption: Making Labor Law In Cities and States, 124 Harv. L. Rev. 1153 (2011). Benjamin I. Sachs, Reinhardt at Work, 120 Yale L.J. 573 (2010). This Tribute essay explores Judge Stephen Reinhardt’s labor and employment jurisprudence, arguing that the jurisprudence is defined by a consistent substantive vision of what labor and employment law intends to accomplish and by a particular method of interpreting these laws. Three cases highlight these twin themes. The first concerns the scope of the anti-retaliation clause of the Fair Labor Standards Act. The second deals with the ability of undocumented workers to assert rights granted by Title VII. And the third addresses the ability of unions to spend dues money on organizing new members. The essay also comments on these cases’ broader significance to the fields of labor and employment law. Benjamin I. Sachs, Card Check 2.0: A Better Fix for Union Organizing than the Employee Free Choice Act, Slate, Apr. 16, 2009. Benjamin I. Sachs, Employment Law as Labor Law, 29 Cardozo L. Rev. 2685 (2008). Seventy years after Congress passed the National Labor Relations Act (NLRA), the scholarly consensus is that American labor law has become ossified. As I have argued elsewhere, however, while the NLRA is undoubtedly dysfunctional, the blockage of this traditional channel for collective action has led not to ossification, but to a hydraulic effect: unable to find an outlet through the NLRA, the continuing demand for collective action has forced open alternative legal channels. This article explores the first of these new channels, which I name employment law as labor law. The article presents detailed accounts of collective campaigns in which workers turn to employment law, in particular the Fair Labor Standards Act and Title VII, as the legal architecture that facilitates and protects their collective activity. This legal architecture, provided here by employment statutes, is one we conventionally call labor law. Drawing upon and moving beyond these descriptive accounts, the article offers a theoretical model that explains how employment law's individual rights regime can galvanize, insulate, and generate workers' collective action. By revealing employment law's capacity to foster collective action, moreover, the article provides a new way of understanding the relationship between labor law and employment law. The model developed here disputes the claim that labor and employment law constitute distinct - and inimical - regulatory regimes. Finally, the article contends that employment law's ability to foster collective action invites future inquiry into the possibility for a great trade in labor law reform: a new regime that provides strong safeguards for the early stages of collective action but retreats from the cradle-to-grave regulation that has defined, and ultimately undermined, the NLRA. Benjamin I. Sachs, Labor Law Renewal, 1 Harv. L. & Pol'y Rev. 375 (2007). This essay challenges the conventional wisdom that American labor law has reached a dead end. I argue that the dysfunctionality of the National Labor Relations Act has led not to "ossification" - as many believe - but to a hydraulic effect: unable to find an outlet through the NLRA, the continuing demand for collective action has forced open alternative legal channels. The essay outlines three examples to illustrate these emerging trends. The first involves the ability of several thousand janitors in Houston to secure wage increases and health benefits through a unionization campaign governed entirely by private agreement. The second concerns several hundred thousand home care and child care workers who unionized under a regime of state and local labor law. And the third is the story of an immigrant garment worker who relied on a quintessential employment law statute to lead a collective effort for overtime wages at her Brooklyn factory. These accounts illustrate labor law's new dynamism. They also reveal that American labor law is no longer a regime defined by a single federal statute administered by a single federal agency. Rather, the field is increasingly constituted by private processes, state and local regulation, and multiple federal statutes - most notably employment laws like Title VII and the Fair Labor Standards Act - enforced by multiple actors. The essay proposes that we treat each of these decentralizing trends as a productive form of experimentation. Self-consciously embracing this experimental potential will provide new insight into a series of practical questions central to labor law reform. These experimental developments also will help us resolve structural and conceptual quandaries at the core of the field: the appropriate function of private agreement in labor law; the role that states and localities should play in the design of labor policy; and the relationship between individual rights and collective action. Benjamin I. Sachs, Case Note, Whose Reasonableness Counts? : Elewski v. City of Syracuse, 123 F. 3d 51 (2d Cir. 1997), 107 Yale L.J. 1523 (1998). Benjamin I. Sachs, Reorganizing Work: The Evolution of Work Changes in the Japanese and Swedish Automobile Industries (Routledge 1994).